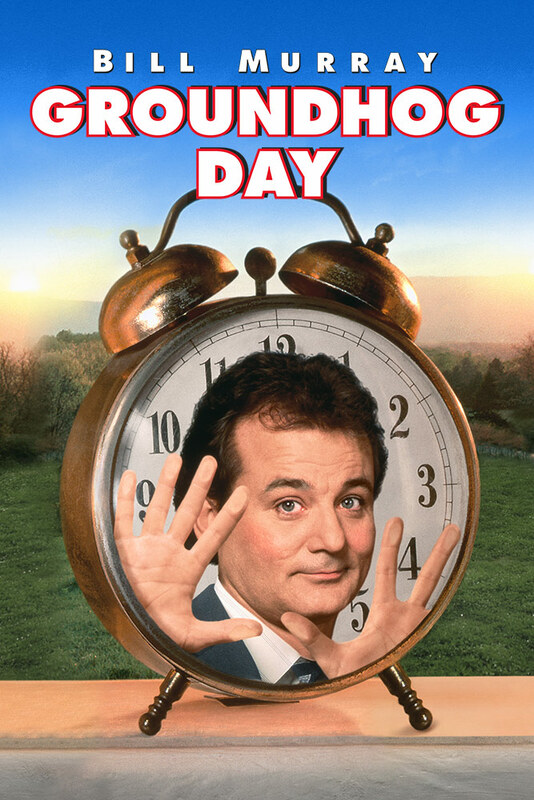 Come celebrate Groundhog Day with Groundhog Day—the hilarious '90s classic about a weatherman forced to endlessly relive Groundhog Day. Like last year's screening of Groundhog Day on Groundhog Day, Groundhog Day plays one night only, on Groundhog Day! In this beloved ’90s classic, Bill Murray plays Phil, a TV weatherman working for a local station in Pennsylvania but convinced that national news stardom is in his grasp. Phil displays a charm and wit on camera that evaporates the moment the red light goes off; he is bitter, appallingly self-centered, and treats his co-workers with contempt, especially his producer Rita (Andie MacDowell) and cameraman Larry (Chris Elliot). On February 2, 1992, Phil, Rita, and Larry are sent on an assignment that Phil especially loathes: the annual Groundhog Day festivities in Punxsutawney, PA, where the citizens await the appearance of Punxsutawney Phil, the groundhog who will supposedly determine the length of winter by his ability to see his own shadow. Phil is eager to beat a hasty retreat, but when a freak snowstorm strands him in Punxsutawney, he wakes up the next morning with the strangest sense of déjà vu: he seems to be living the same day over again. The next morning it happens again, and then again. Soon, no matter what he does, he’s stuck in February 2, 1992.